Farm Bill: How could it work for farmers? 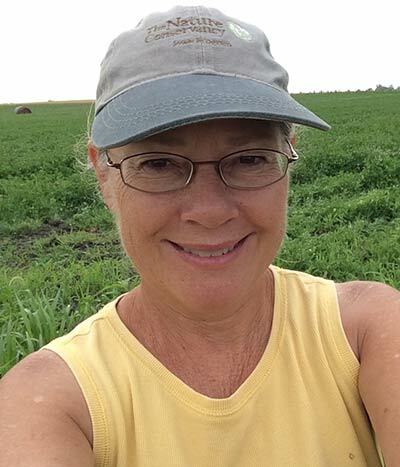 This interview with Churdan, Iowa farmer Patti Naylor is the second blog in our series focusing on key issues of concern in the Farm Bill to those in our network. In this blog, Patti focuses on her vision for a Farm Bill process that better serves her farm and community. Many provisions in the Farm Bill legislation introduced in the House of Representatives will be harmful to farmers, rural communities, workers and the environment. Meanwhile, debates on the federal legislation are moving full steam ahead. Why does the Farm Bill matter to you? The Farm Bill showcases how federal policy has deep implications for our food and farming system — and our communities. Unfortunately, the Farm Bill as proposed entrenches, with only minor shifts, the current food and farming system, which doesn’t benefit farmers, workers and communities in the ways it should. That’s why it matters to me. It’s a big, complicated piece of legislation. In years past, even the legislators who voted for these bills and the experts who explained the programs to farmers didn’t fully understand the details. I look to organizations like Pesticide Action Network, National Family Farm Coalition, and Food and Water Watch for their analysis of the proposed Farm Bill. I look to thought pieces like Without Clarity on Parity, All You Get is Charity to see what needs to be changed. But it’s not just the bill as proposed that needs to change — it’s the whole process. Food is such a basic part of how we survive, so the Farm Bill process needs to be more inclusive, engaging, and responsive to our needs as farmers, eaters and community members. What provisions in the Farm Bill are you most excited about? What are you most concerned about? There many concerning individual provisions in the version of the Farm Bill being proposed in the House of Representatives. Many organizations are sending out alerts calling on their supporters to urge representatives to save this program or save that program. From cutting Supplemental Nutrition Assistance Program (SNAP) to gutting protections from dangerous pesticides for endangered species, this Farm Bill is full of concerning proposals — our work is cut out for us. While actions to protect programs are important, the problem is we’re not looking at the bill — or the process — as a whole. We’re in defense mode, rather than fighting for what we need. In its current form, the Farm Bill is like a train. We put all these programs on it, and then we take things off and put things back on as policy debates and special interests allow. It’s a shuffle of programs — organic, beginning farmer, conservation, value-added — so the final product is not a comprehensive plan for the future that farmers, workers and communities really need. We’re not having any conversations about where the train is headed. During these program-shuffling conversations, advocates on various sides of the issue talk a lot about the allocation of funds for farm subsidies. In reality, what some Farm Bill programs do is subsidize risk. These subsidies stop a disaster from shaking the whole food and farming system, but do little to keep individual farmers from going out of business during extended periods of low prices for their products. For example, if Iowa had a widespread drought and a lot of farmers lost their crops, they wouldn’t all go out of business because of their “safety net” through Farm Bill programs. When individual farms are no longer viable, the land will be consolidated into surrounding farms with corn and soybeans continuing to be produced. These surviving farms still face slim profit margins as cheap grain prices continue through market-wide and global overproduction. The risk-management programs that protect corn and soybean commodity crops bolster a flawed system that remains unchanged, while farmers, workers and communities suffer. What would a Farm Bill that supports your farm, community, and movements look like? We need to create a comprehensive program that farmers and communities really need, one that promotes farm and social justice, and ensures fair compensation for farmers, workers and communities. So much of our current food and farming system has externalized costs that affect all of us. Meanwhile farmers, workers and rural communities often bear these costs most directly. From low farm-gate prices driving over-production and monocropping, to monocropping driving increased pesticide use, to pesticide use leading to worker and community exposure to carcinogens and more — it is evident we need a Farm Bill that actually works for farmers, rather than propping up a system that is heading full speed in the wrong direction. That’s why I’m advocating for a Farm Bill that engages and is reflective of the needs of farmers, eaters and impacted communities.